One of the biggest challenges of having acne prone skin is trying to find the best makeup products. 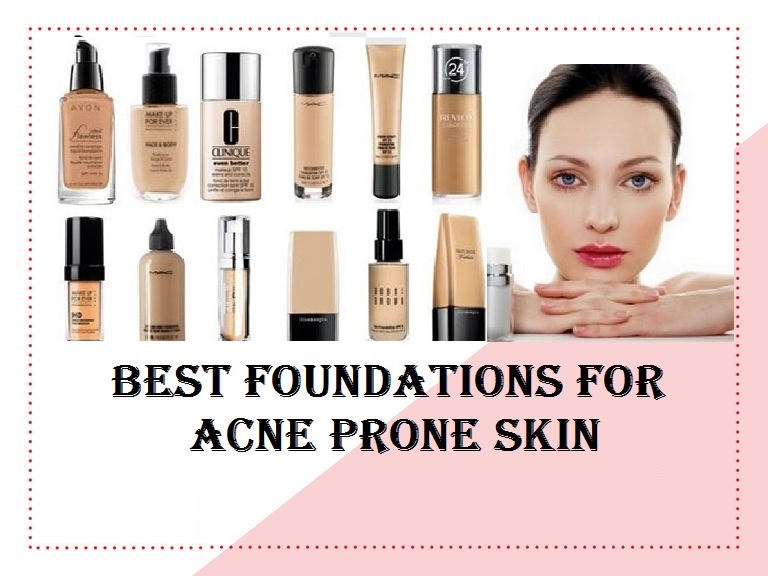 One of the most difficult makeup products to find is the best foundation for acne prone skin. Many foundations on the market contain oils and chemicals which can block pores and make your acne breakouts even worse. The review will help choose from the 3 best foundations for acne prone skin. Oil-free foundation. This is one of the most important factors so that more oil doesn’t block your skin and lead to further breakouts. Natural ingredients. It is not always possible to find makeup products that are 100% natural. However, you should still look for a foundation which has as many natural ingredients as possible. Sometimes, harsh chemicals can irritate your skin even more. Anti-acne properties. Many foundations for acne prone skin will contain ingredients which are commonly used in acne treatments. One of the most popular is salicylic acid. Some natural ingredients which are good for fighting acne are tea tree oil and willow bark extracts (works similar to salicylic acid). Here are the top 3 foundations for acne prone skin. Lorac Natural Performance Foundation ranks among the top 3 foundations for acne because it contains many natural extracts and it provides good coverage through the whole day. So, what else makes this such a good foundation for acne prone skin? One nice aspect of the foundation is that it comes in a wide range of tones to suit most skins. It doesn’t leave the skin looking shiny and, because it is oil-free, it won’t clog up your pores. The foundation also blends in really well. Lorac Natural Performance contains vitamins A and E which are excellent for the skin. These vitamins are well-known antioxidants and will help keep your skin looking youthful. The foundation also contains 3 botanical extracts: Olive leaf extract, lemon fruit extract, and papaya fruit extract. The foundation will also protect your skin from the harmful effects of the sun’s radiation as it has an SPF factor of 20. What are the main features of Lorac Natural Performance Foundation? What are the active ingredients in Lorac Natural Performance Foundation that make it a great foundation for acne prone skin? Lorac says that their Natural Performance Foundation gives you a picture perfect coverage. The coverage is really good and it does last throughout the day. The fact that it doesn’t contain any parabens and fragrances is a big plus. It is also gentle enough for sensitive skin. Many online reviews rate this as one of the best foundations for acne prone skin. Cosmetics company E.l.f. have developed a foundation which is specific for acne prone skin. The reason that E.l.f. 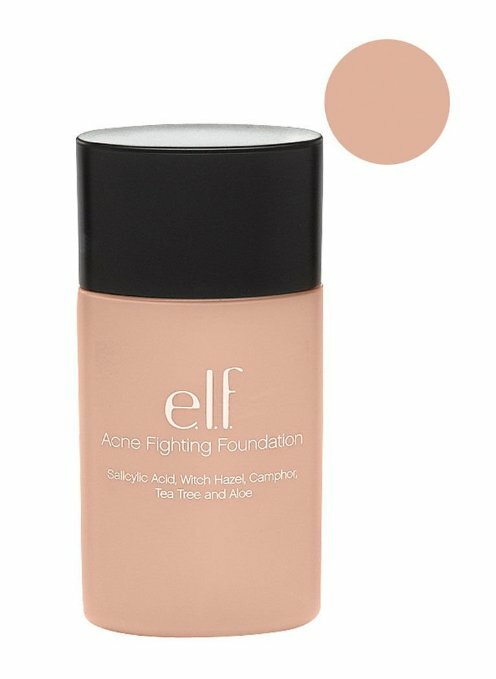 Acne Fighting Foundation is such a good foundation if you have acne prone skin is the fact that it contains many ingredients to fight acne. The foundation has a thick consistency and applies very easily; however, it still feels light on the skin. It also provides great coverage and blends very well. The main acne fighting ingredient in the foundation is salicylic acid (0.5%). This means that by applying this you help to kill off the bacteria that cause acne. E.l.f. Acne Fighting Foundation also contains natural extracts which are effective in reducing inflammation on the skin. These are witch hazel, camphor, tea tree, and aloe vera extracts. What are the main active ingredients in E.l.f. Acne Fighting Foundation? The E.l.f. Acne Fighting Foundation will help to even out your skin tone and provide you with great coverage that lasts all day long. The reason that E.l.f. Acne Fighting Foundation is one of the best foundations for acne prone skin is the addition of ingredients that will help to treat your acne. It means that you can use your acne treatment in the morning and then the foundation will keep working through the day. Clinique is a well-known brand name in cosmetics and the Clinique Anti-Blemish Solutions Liquid Makeup is in the list of best foundations for acne prone skin. Their Anti-Blemish Solutions Liquid Makeup has been formulated to make sure that it covers all types of skin blemishes. It also comes in 17 different shades, so it will be possible to find a shade that suits your skin. The ingredients in the foundation for acne prone skin have been designed so that it doesn’t irritate even sensitive skin. It also contains salicylic acid to help kill off the bacteria that can cause acne. Another nice feature of this foundation is that it also contains some natural ingredients. One of these is sea algae which can help to prevent further acne breakouts. Another natural extract is caffeine which can help to soothe irritated skin. What are the main features of Clinique Anti-Blemish Solutions Liquid Makeup? Receives consistent positive reviews online. What are the main active ingredients in Clinique Anti-Blemish Solutions Liquid Makeup that make it a great foundation for acne prone skin? Many people who have acne love Clinique Anti-Blemish Solutions Liquid Makeup because it doesn’t irritate the skin and helps to treat existing breakouts. 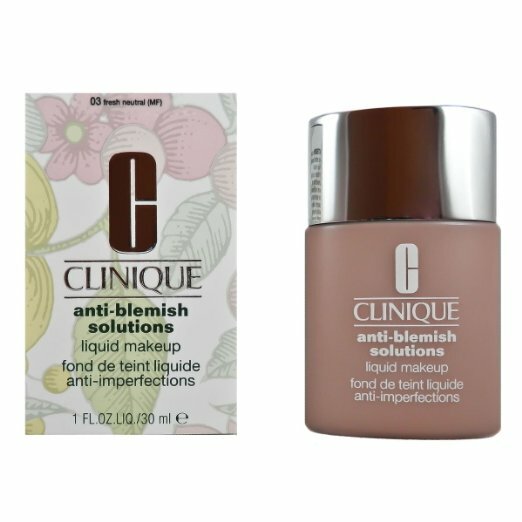 Clinique Anti-Blemish Solutions Liquid Makeup is one of the best foundations for acne prone skin because it applies very well and looks natural on the skin. It also helps to keep your skin moisturized, so that the salicylic acid doesn’t dry out your skin.